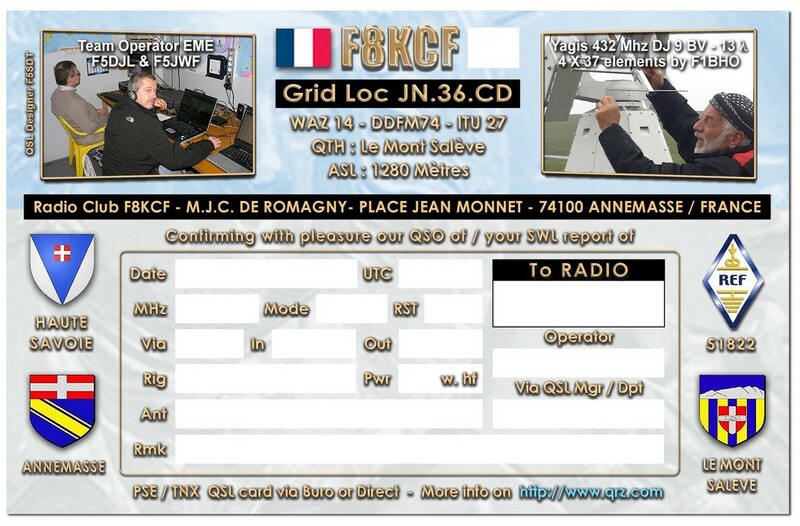 F8KCF Radio Club is sometime active on 432MHz via EME, CW & JT modes. EME is often refered to as “Moon Bounce”. 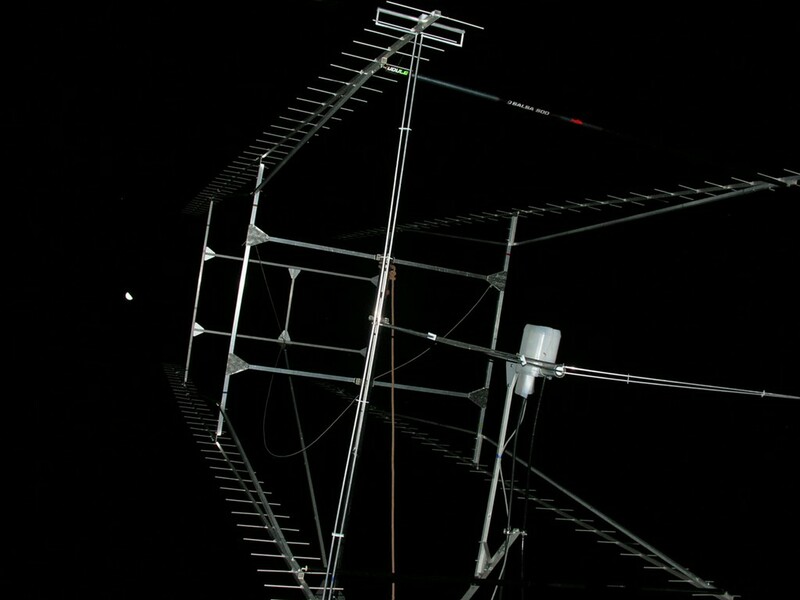 EME stands for Earth-Moon-Earth transmissions and it is literally bouncing signals off the moon and back to earth. Ham Radio operators can communicate with these weak signals. Big antennas & large dishes can collect these signals and make them much clearer than can be received with smaller ones. Our antenna for 432 is a 4×37 elts , 13 lambda, design DJ9BV, home made by Claude F1BHO. Special thanks to André F4DIA, our Aluminium sponsor ! 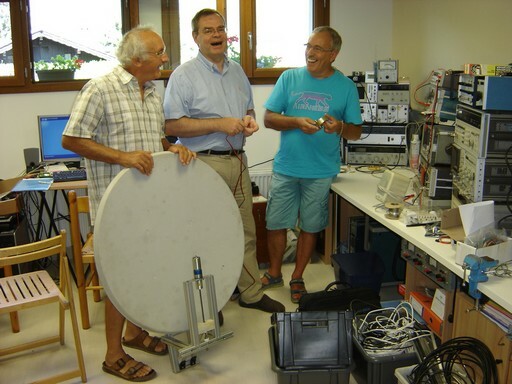 We are also working on a big dish , about 3.80m, for 1296 MHz. Preamplifier design DJ9BV with MGF1302 , 0.4dB NF built & provided by Jean Paul F5AYE. Claude F1BHO a.k.a. « Le Taulier » in the main shack. with transmitters, computers and antenna tracking system. Power amplifier is in another room to avoid fan & airflow background noise. 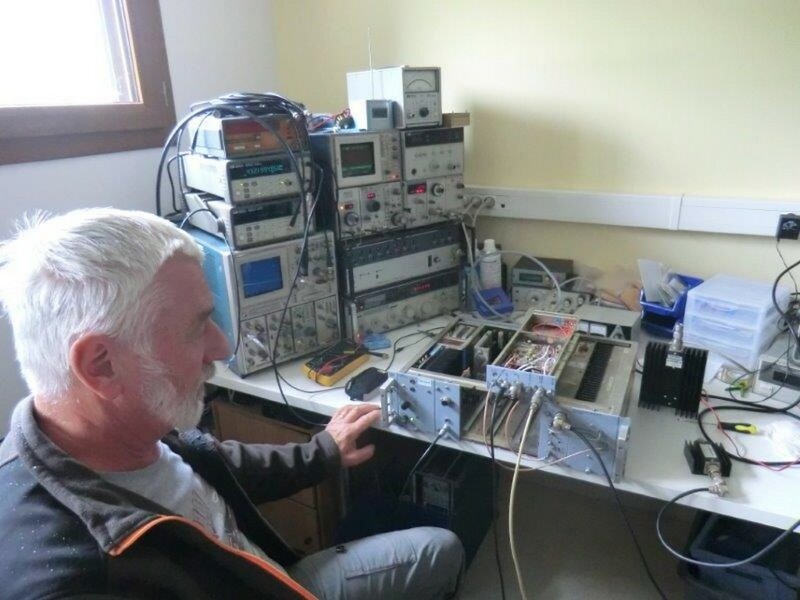 Claude F1BHO, « fine tuning » the 432-28 transverter , using the fabulous F5DJL ham lab. 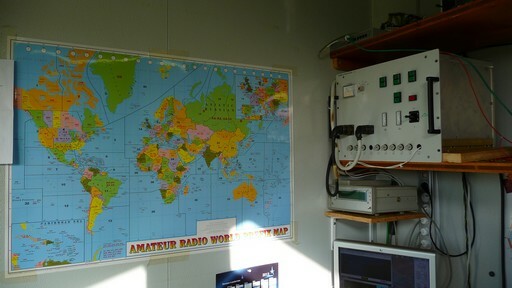 Claude, owner of the station, almost built all equipments from second hand hardware, including the AC power generator ! 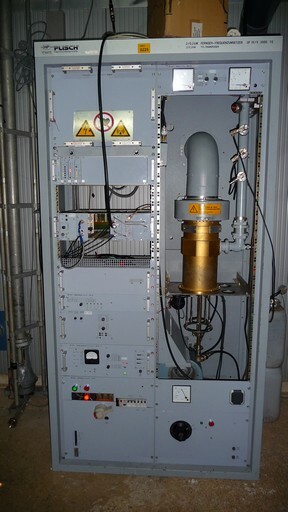 Antenna support, rotors & tracking come from a weather radar system. Thanks to Phil F5JWF for his help! The mast, motors/actuators and tracking controllers have been fully rebuilt and adapted for EME by F1BHO and F5DJL for digital parts. 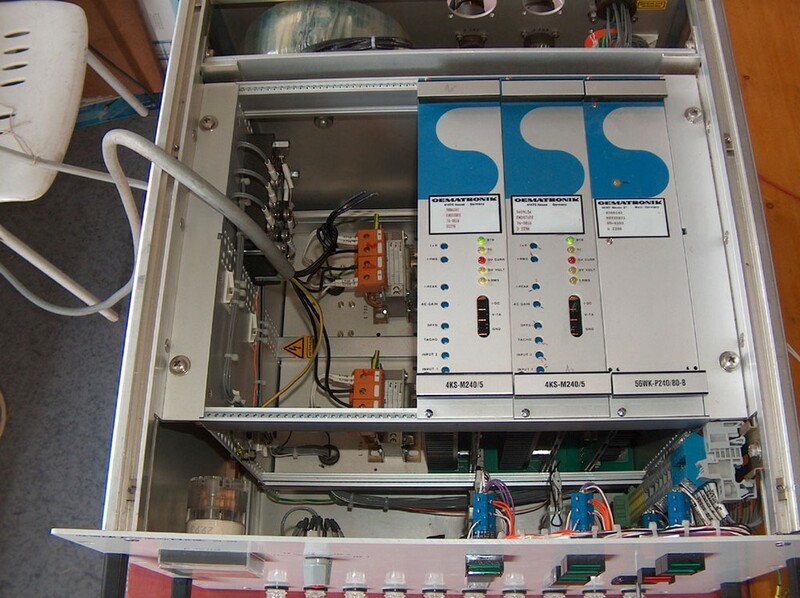 A PIC microcontroller is managing interface between EME software and tracking devices. 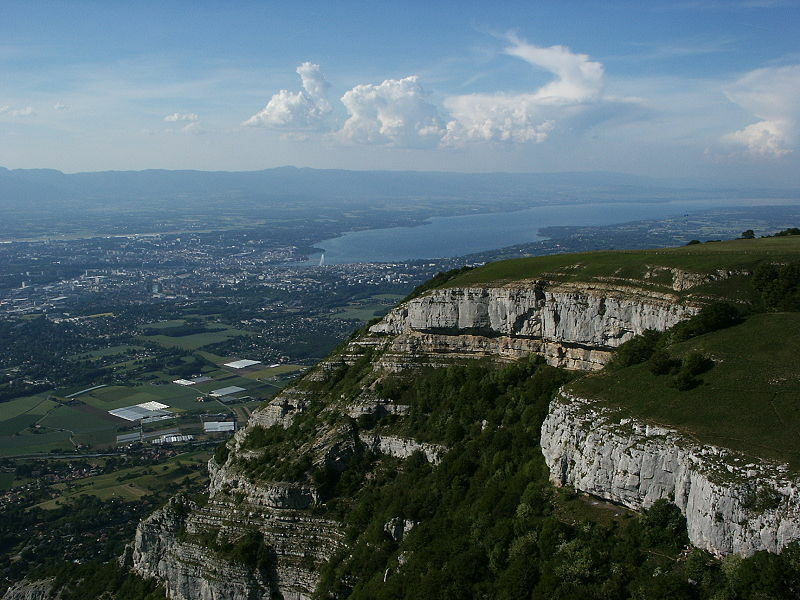 Our EME station is installed on the top of the Salève, a little mountain ,very close to Geneva and the Swiss border, in JN36CD. The site is very quiet, far from electrical noise. We are 1284 m above sea level. Unfortunately, we have no electricity and no DSL line. Our partner, the swiss club IAPC provides hi bandwidth Internet via HAM-Net over a wireless 5Ghz link managed by Marie Pierre F5DN. Claude installed an home made power generator built with a used car engine and a big alternator. The engine is powered by a mixture of diesel fuel oil and french fry oil. It smells like Mc Do**ld ..
Power Amplifier is a refurbished Thomson-Plisch TV transmitter, modified for 432MHz. The power is not communicated by Claude, the chief engineer form « F1BHO Heavy Industries Inc. » . After investigations, we think we probably have more than 1KW , the TH313 tube is loafing ! 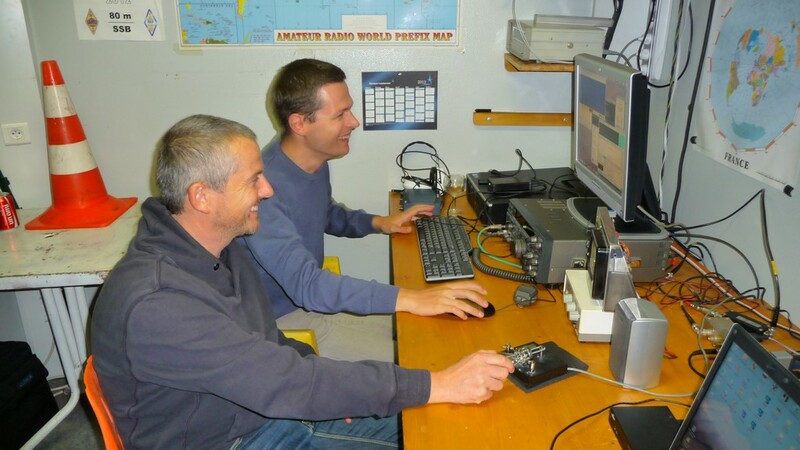 Our first digital WSJT EME QSO on 432MHz with OK1DFC. 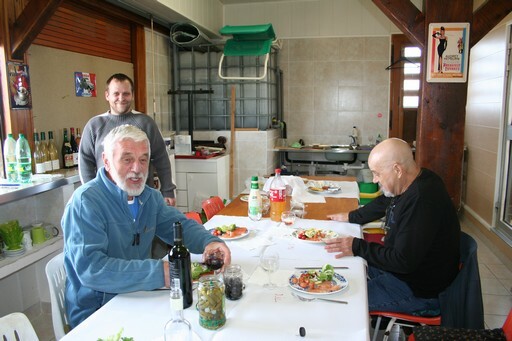 Mathieu F4GTV, Claude F1BHO & Jean Claude F1MG appreciate good french wine grape juice after contest effort ! 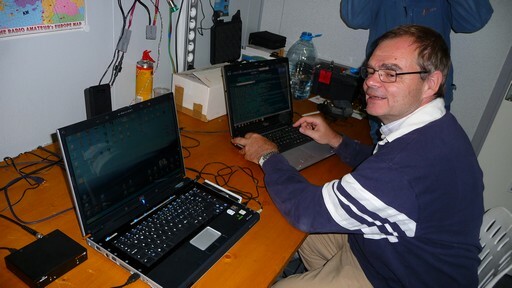 Jean louis F5DJL operating the station during ARRL EME contest. We are active in CW and JT with multiple computers & dedicated software. 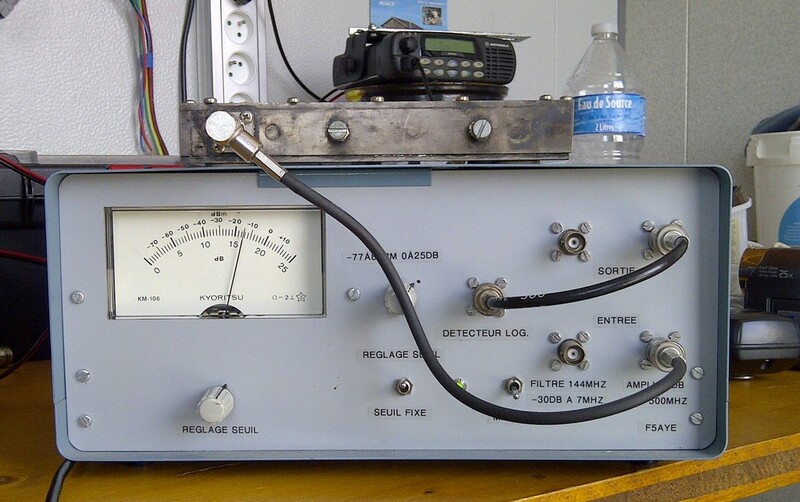 The transceivers are IC910, TS850 or TS2000 with a 432/28 transverter, and an SDR receiver. Jean Paul F5AYE « HyperMan » proceed to noise measurments with his home made radiometer / panfi . 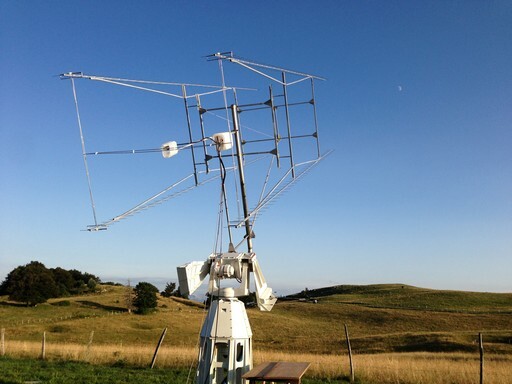 Philippe F5JWF, enjoy CW with Sebastien F8CMF , more often seen fighting with big guns in major HF contest ..
Claude F1BHO can be proud of this splendid installation ! 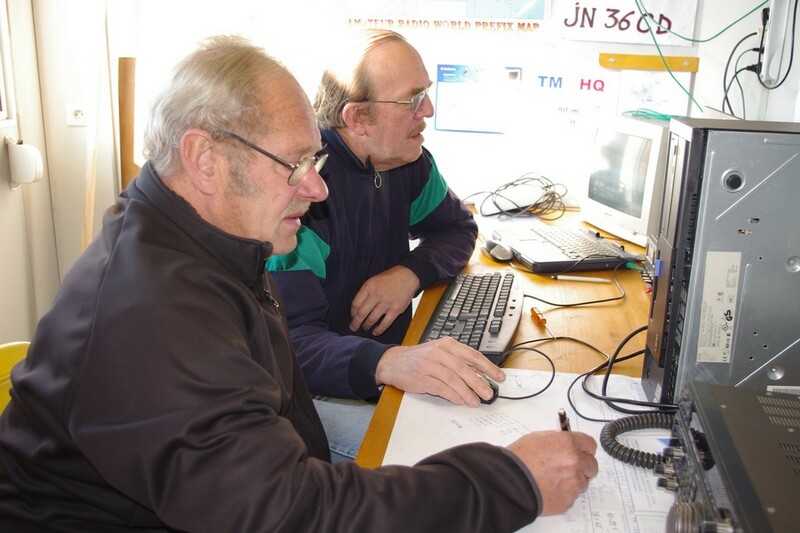 High concentration for Ringo-Charles F8BMX (sk) and Jean Claude ex-F1DRA now F6HCS. Philippe F5SDT, our Master in QSL design, had many difficulties to work us with his 1941 MKVII Paraset transceiver ! 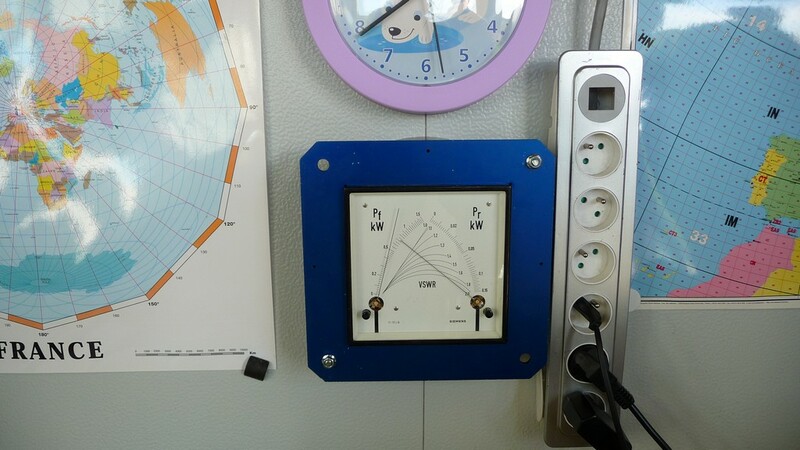 Bird wattmeter elements were not available for this power on 432MHz! QSL Manager Jean Louis F5DJL for all EME activities, direct with SAE or via REF bureau. 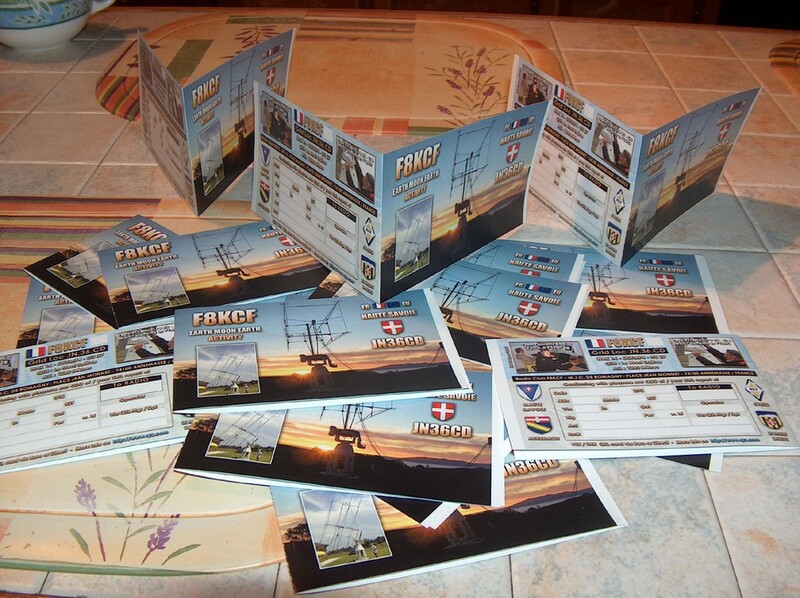 Please work us on EME and you might receive the splendid QSL, an artwork from Philippe F5SDT !